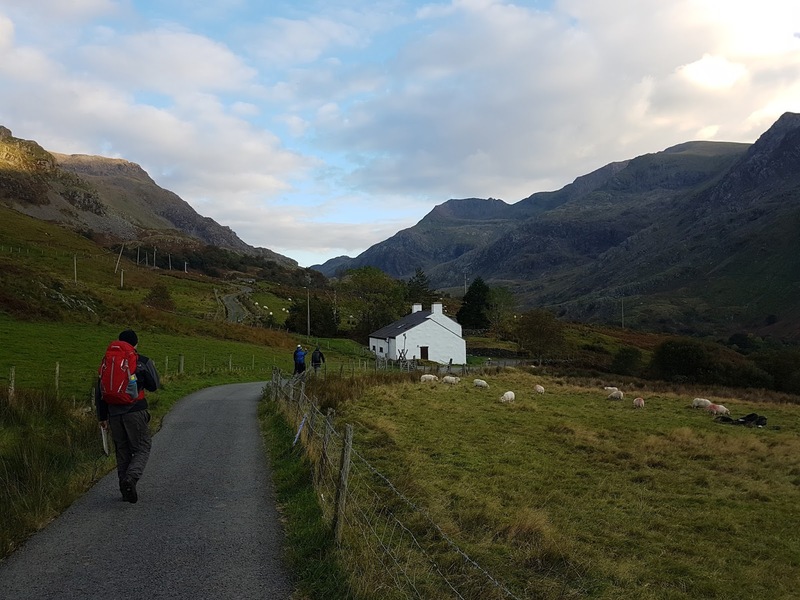 Yesterday and Today I was out on the ML "mini break", a two day one night expedition and we chose to go to the Yr Aran part of Snowdon. 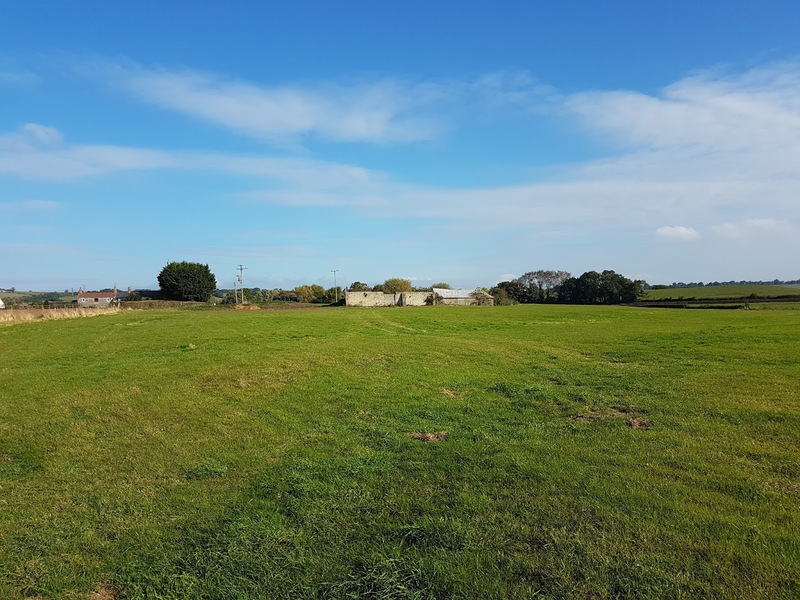 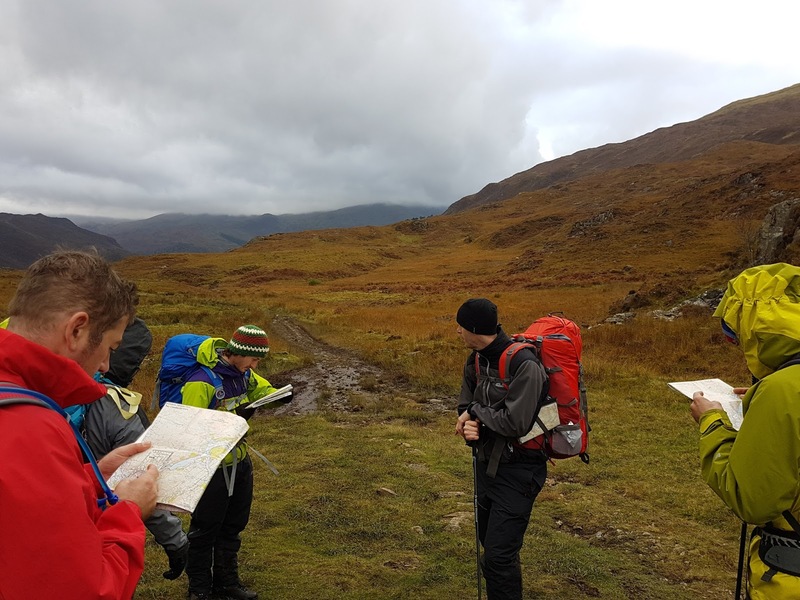 The aim was to look at campcraft and night navigation as well as all the usual environment and navigation during the day. 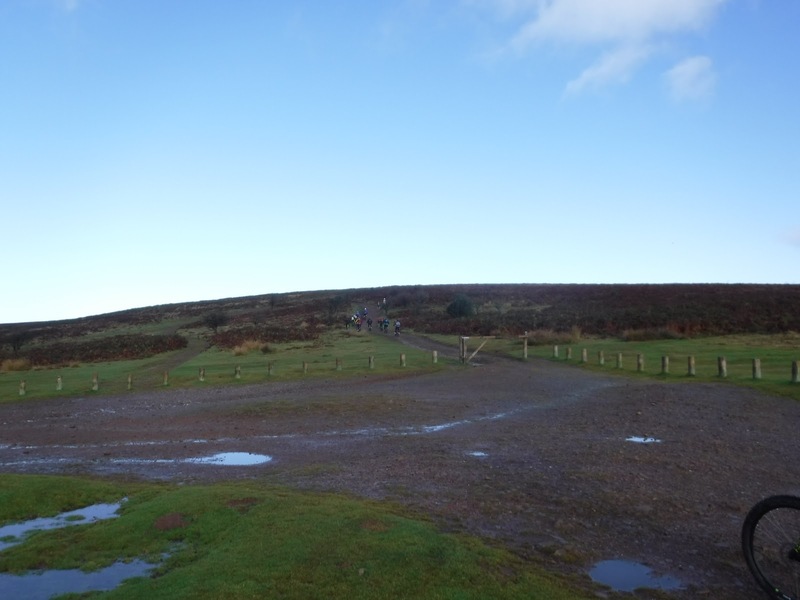 It was a little wet and windy but we got a lot done and finished with a river crossing exercise before individual debriefs and fighting my way through the traffic to get home. 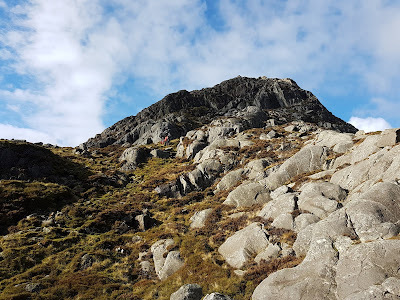 Jez and I took the candidates into The Carneddau today with an ascent of the east ridge of Pen Yr Ole Wen and around to Carnedd Daffyd. 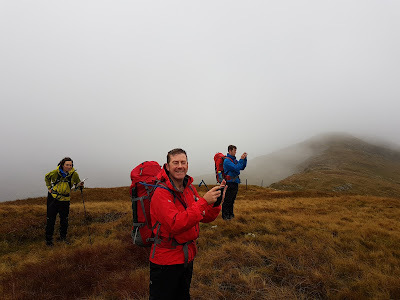 We even had a bit of low cloud to mix things up a bit and give us a chance for some low vis navigation. 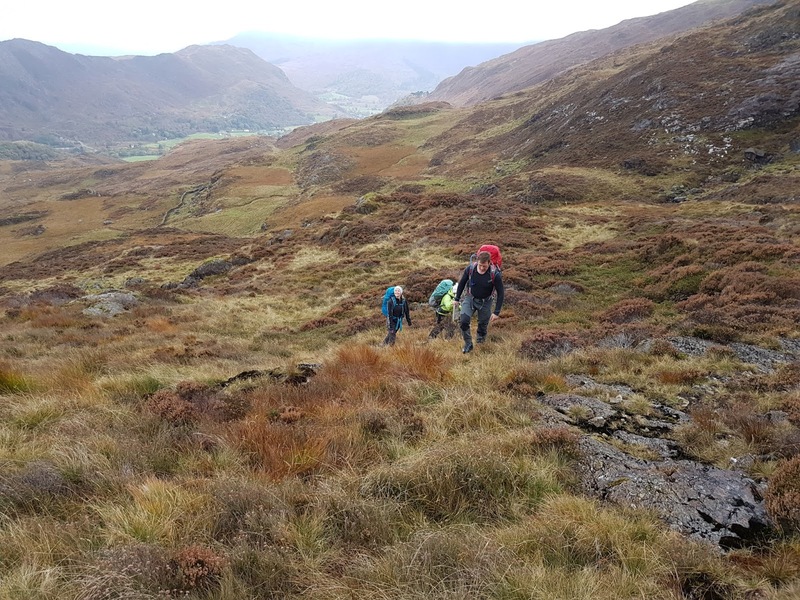 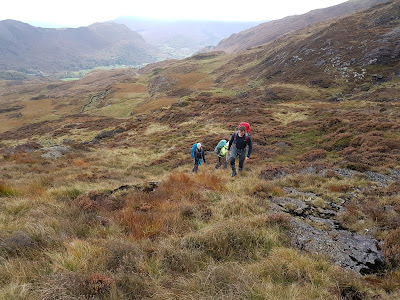 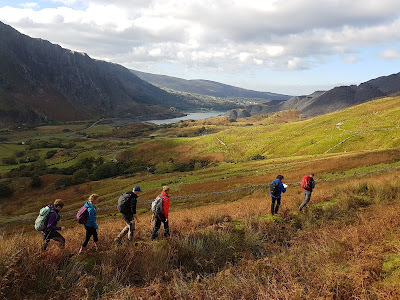 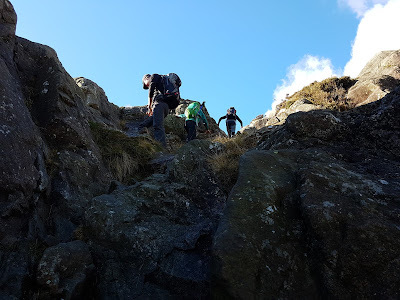 On the third day of the Mountain Leader Training course Jez and I took the candidates to some broken ground to look at security on steep ground issues. 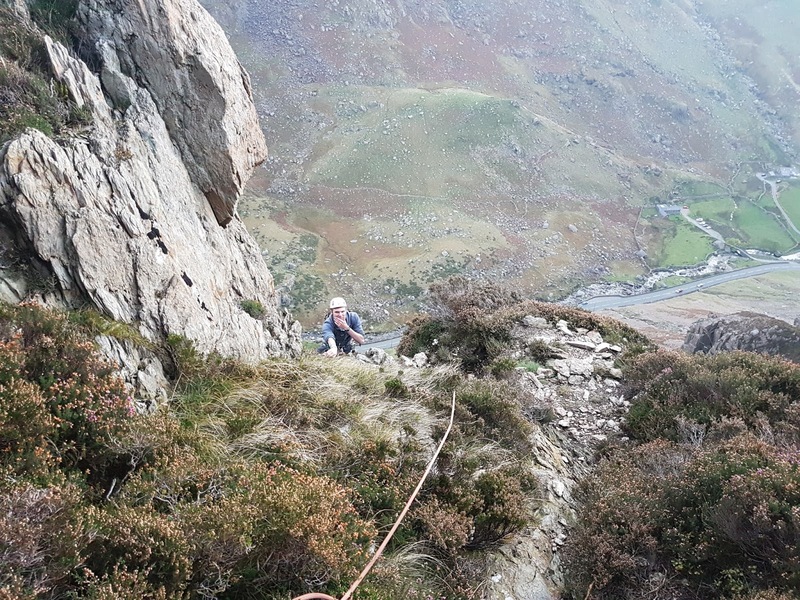 We looked at spotting, confidence roping, direct and direct belays and abseiling. 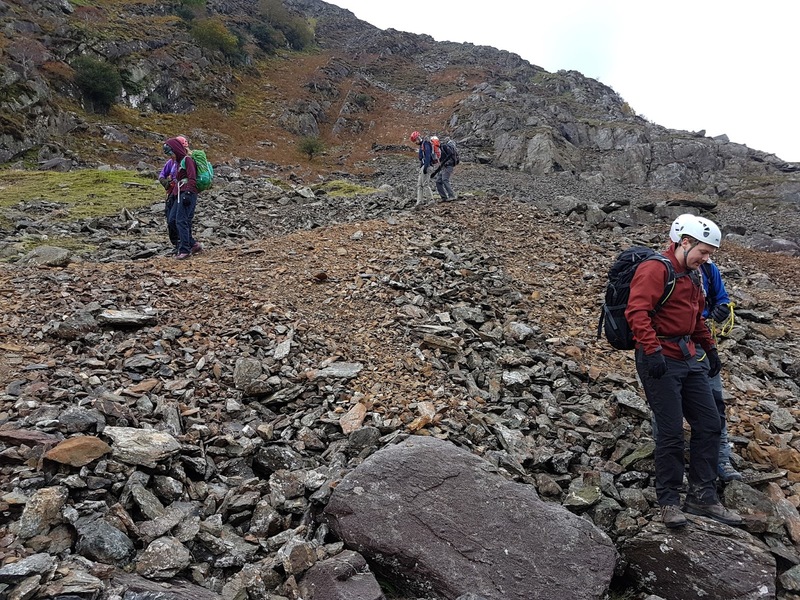 A full mountain day in The Glyders today looking at moving on steep ground using verbal reassurance and spotting techniques. Once on top of Y Gribyn it was time to switch to the 1:50k maps from some misty nav back round and down past the Devils Kitchen. 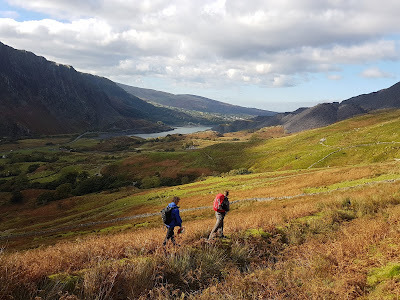 Today I drove up to North Wales in order to run a Mountain Leader course starting tomorrow. 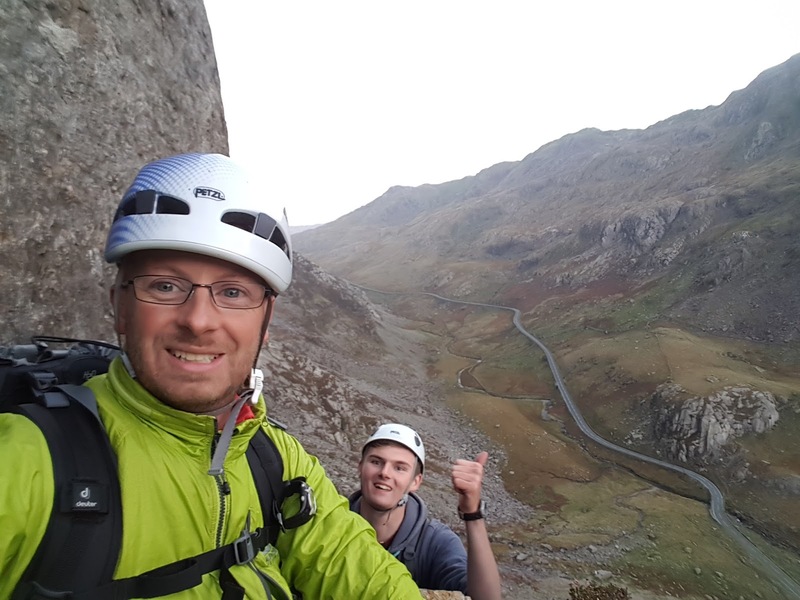 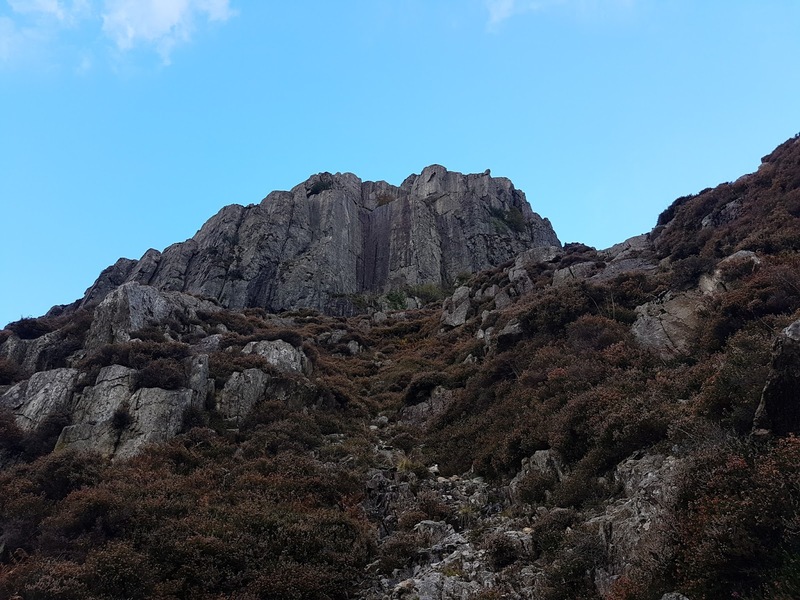 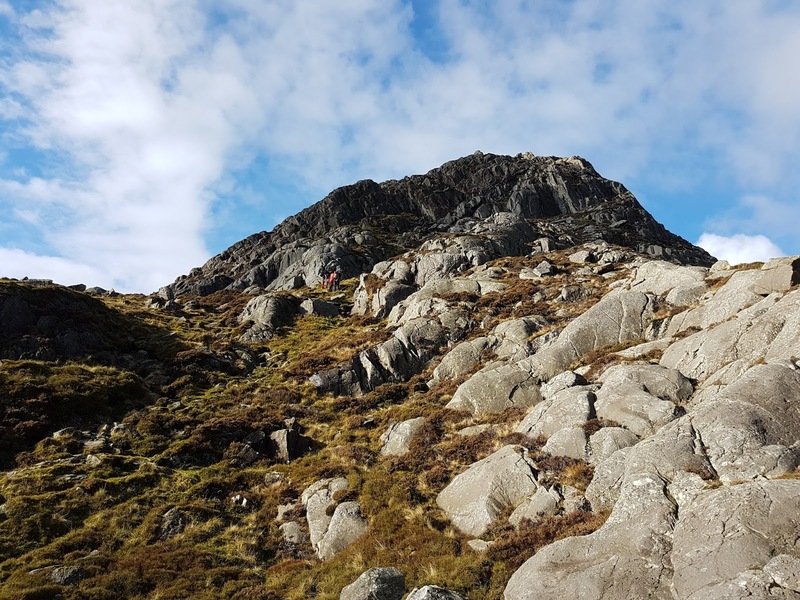 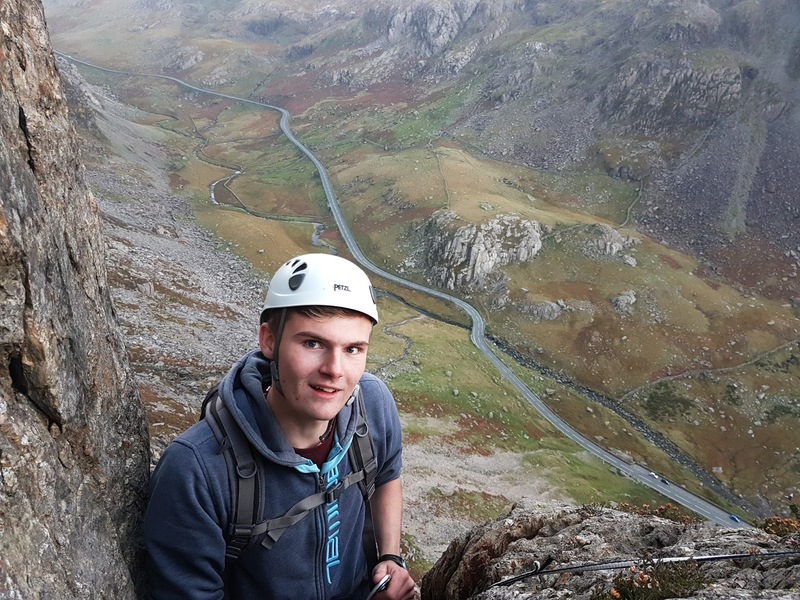 I arrived in time to grab a quick route on Dinas Cromlech and guided Matt up Spiral Stairs a great VDiff with some good views. 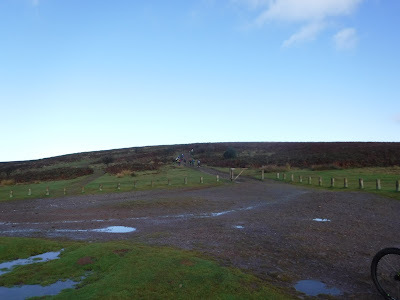 We got down just before dark. 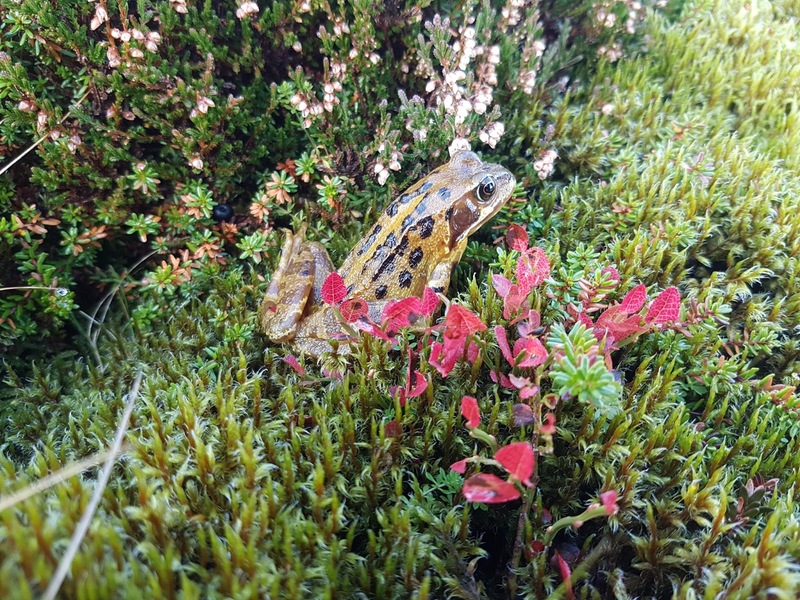 This week I have been down on Dartmoor with Level 3 Outdoor Education students from Bridgwater College at Powdermills Bunkhouse. 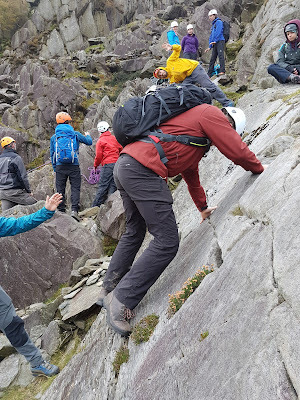 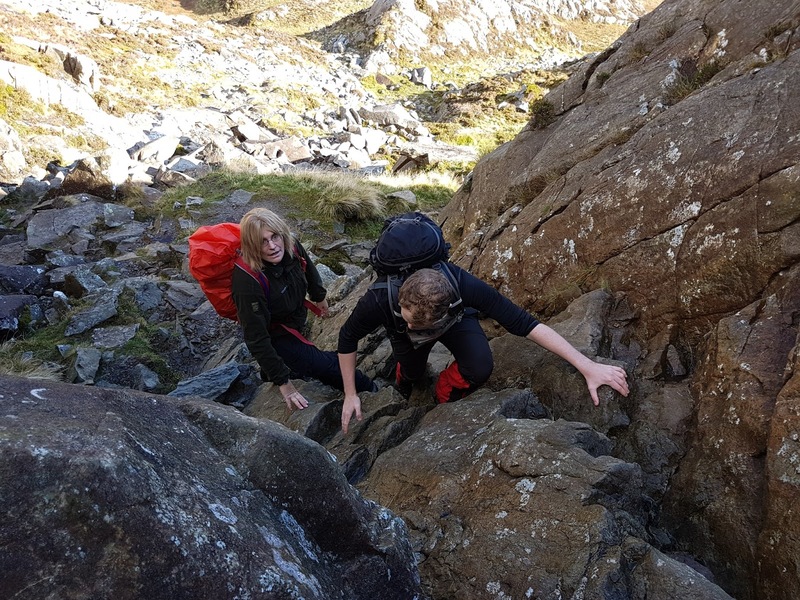 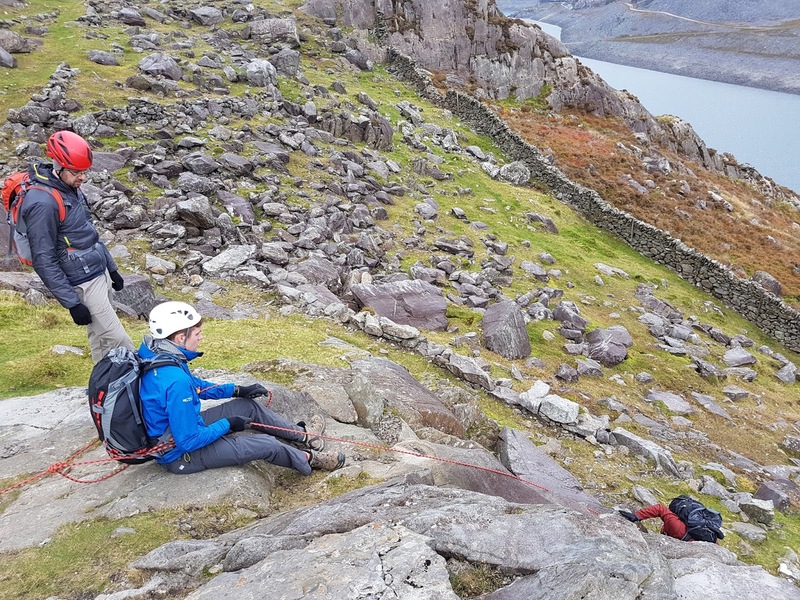 We have undertaken NNAS Bronze and Silver training and assessment courses, Gorge Walking, Climbing, Kayaking and Coasteering as well as the students budgeting and cooking all of their own food. 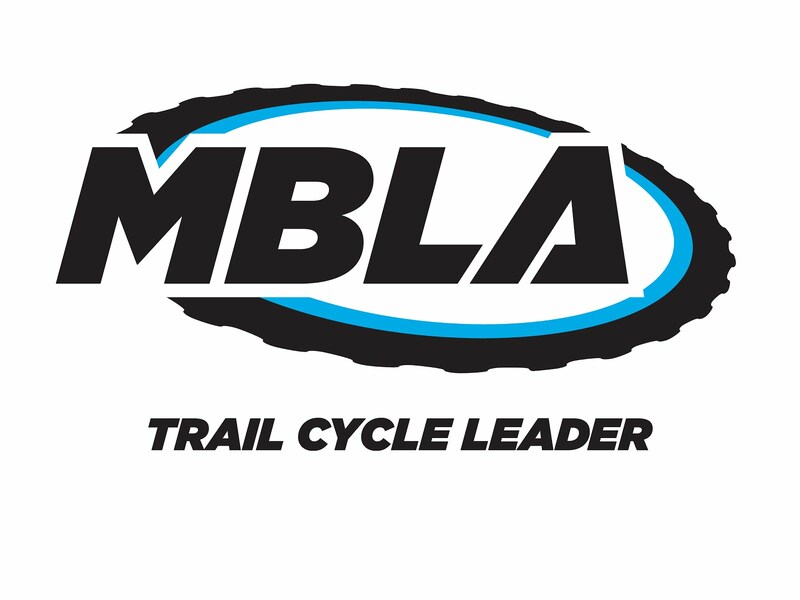 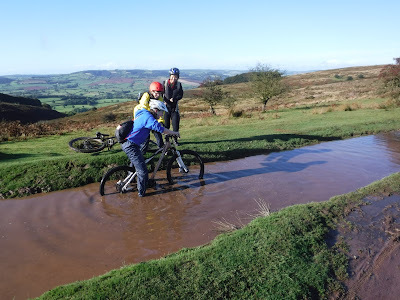 Today for the second day of a Wet and High Adventures Mountain Biking course for Abbey School, we stayed up on the ridge in drier weather but still found plenty of deep puddles and mud to play in. All the girls did well over the 2 days and went home wanting more. 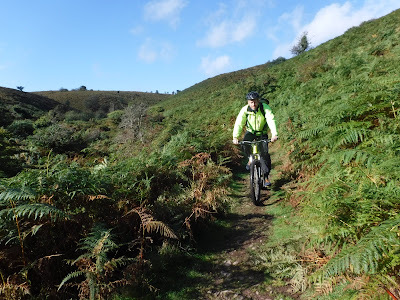 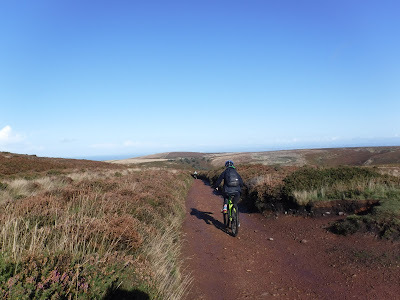 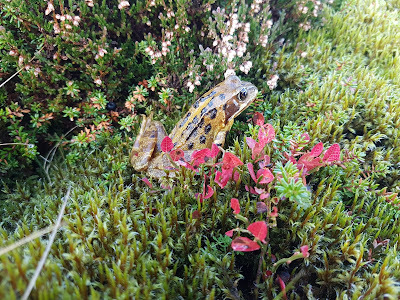 The Quantock Hills delivered some fun yet again. Today I was up on The Quantock Hills working with students from Abbey School for day 1 of a Wet and High Adventures Ltd biking weekend. The weather started of great for some initial skills training and a short test ride before lunch. 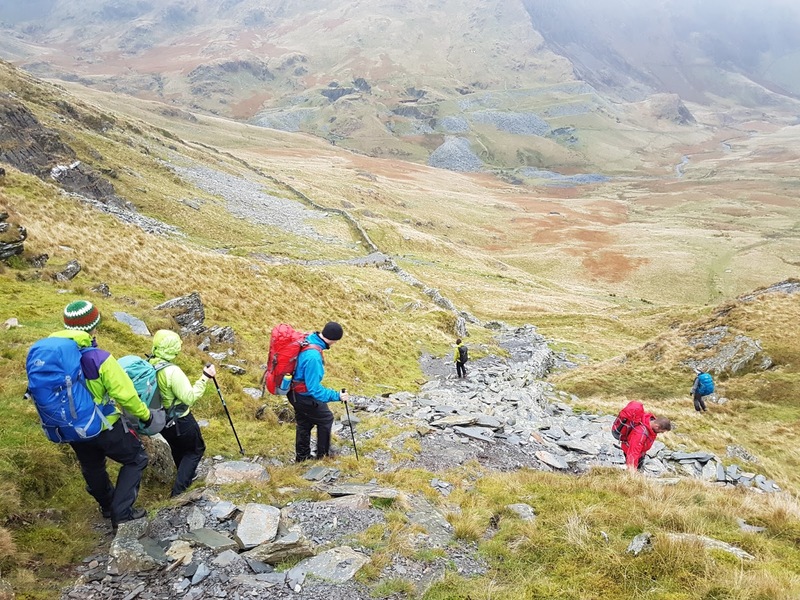 After lunch we headed off from Dead Womans Ditch for a few hours and that is when the heaven opened and it got very wet. Great fun had by all even though we looked like drowned rats. 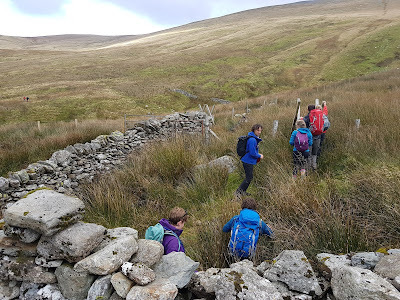 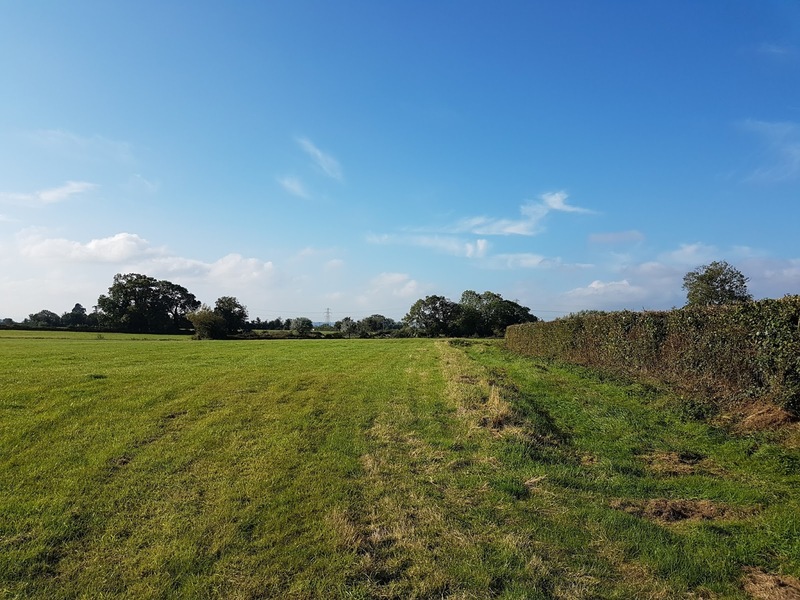 Today was out working with Level 2 Public Services students around the Chedzoy area looking at basic navigation skills. 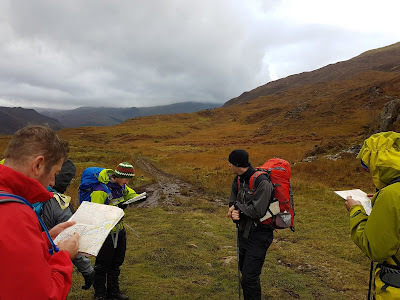 Orientating map, handrailing and recognising map symbols were the topics of day. 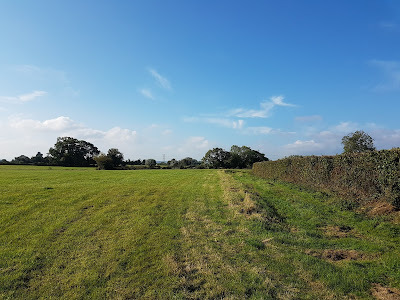 With a morning and afternoon group doing 10km each, my total for the day was 20km, This is all within walking distance of the college and it is the first time I have actually been in this area so it was nice to be somewhere different. Sorry, battery died after only one picture. 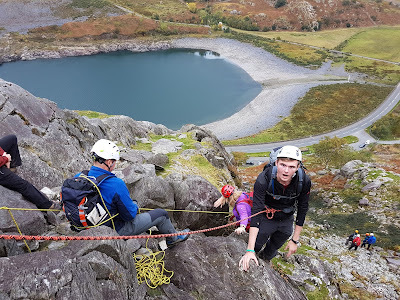 Today with my Level 3 Outdoor Students we spent the afternoon looking at Canoe skills both Solo and Tandem before moving onto trying out some Canoe Rescues and basically swimming about having fun. 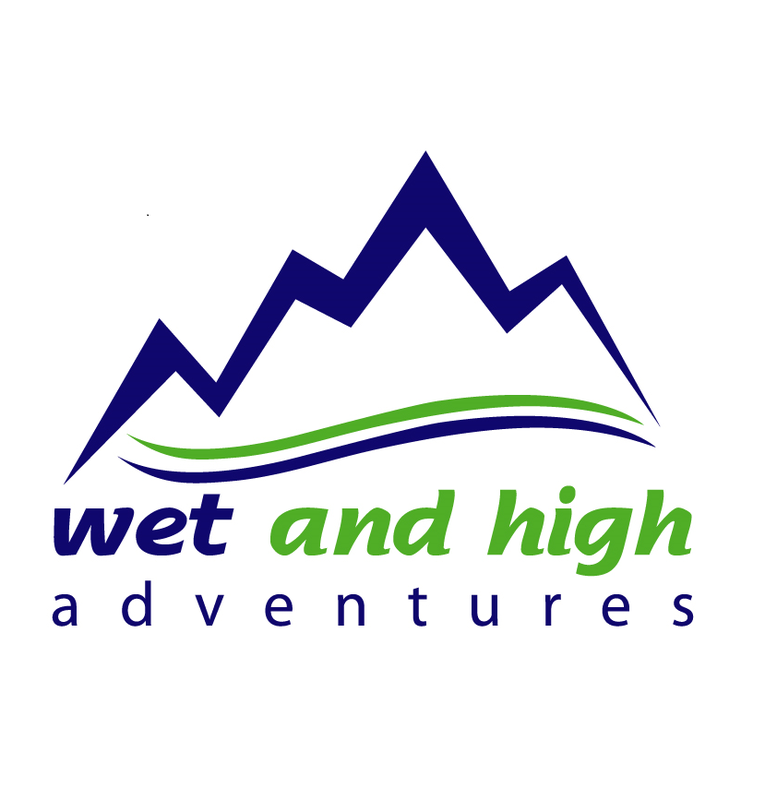 Today I was working for Wet and High Adventures taking Ian and his family and friends Coasteering at Anstey's Cove. As is often the case in October, the water was warmer than the air. We had a great 2 1/2 hr session jumping, swimming and get thrown about by the waves.